All homes currently listed for sale in the zip code 85202 as of 04/22/2019 are shown below. You can change the search criteria at any time by pressing the 'Change Search' button below. 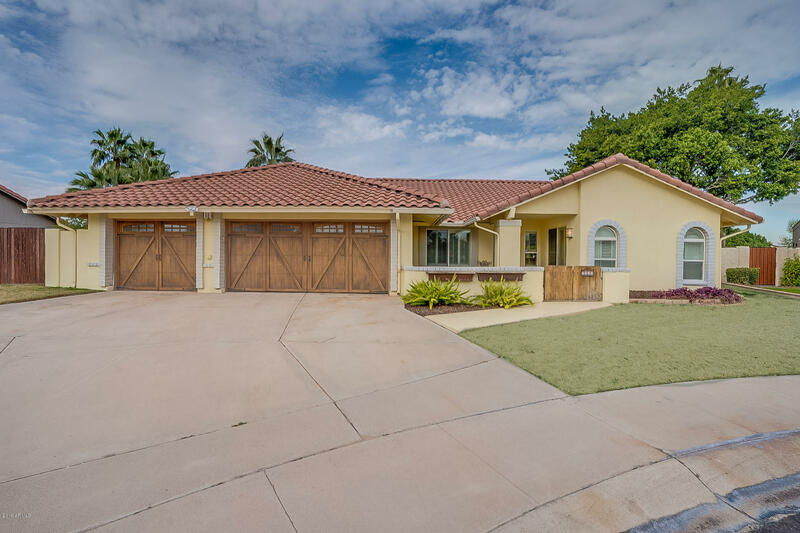 "Prime Waterfront lot, 5 bedroom, 4 bath, 3 car garage home with pool in the highly desirable neighborhood of Dobson Ranch. Master downstairs with custom his & her closets,fireplace, jetted tub and dual vanities. 2 additional bedrooms and 2 additional bathrooms downstairs. There is also an Office with private entrance, storage room, & walk-in pantry, Laundry room has built in desk and cabinets. Upstairs has a huge family room with wet bar, 2 large bedrooms, 1 full bath plus a half bath, and a wa"
"LAKE FRONT SINGLE LEVEL BLOCK HOME WITH OPEN FLOORPLAN ON A CUL-DE-SAC LOT! 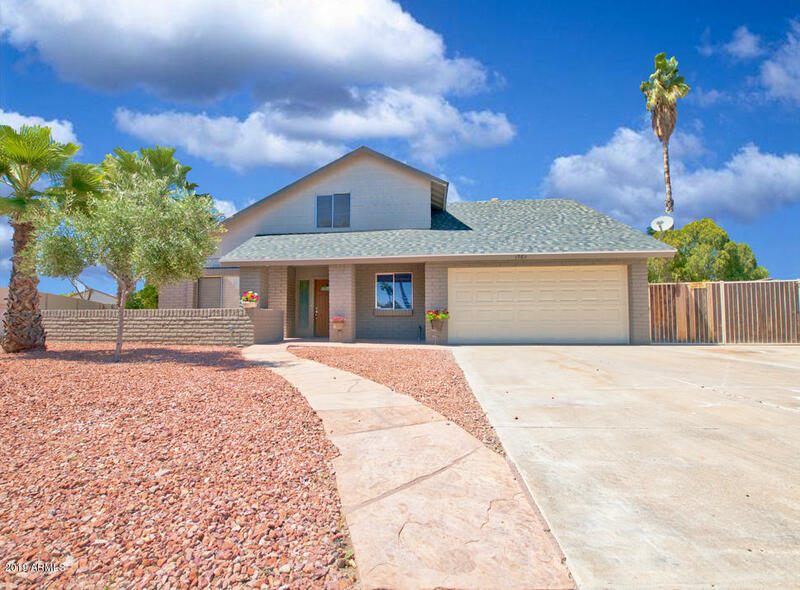 Home features a courtyard entry, 3 bedrooms and 3 bathrooms with two master bedrooms and a private pool over looking the lake. Beautiful alder wood kitchen cabinets with enormous entertainers kitchen island opens to the family room along with fireplaces in both the dining room and family room. 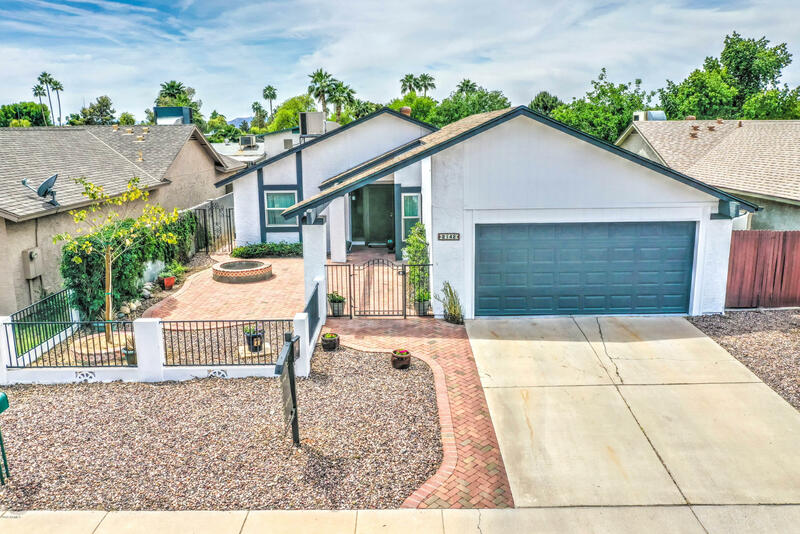 Many upgrades to the home include an entire kitchen remodel, roof underlayment redone, all flooring throughout, upgraded all"
"Come and see this gorgeous move in ready home in Mesa! 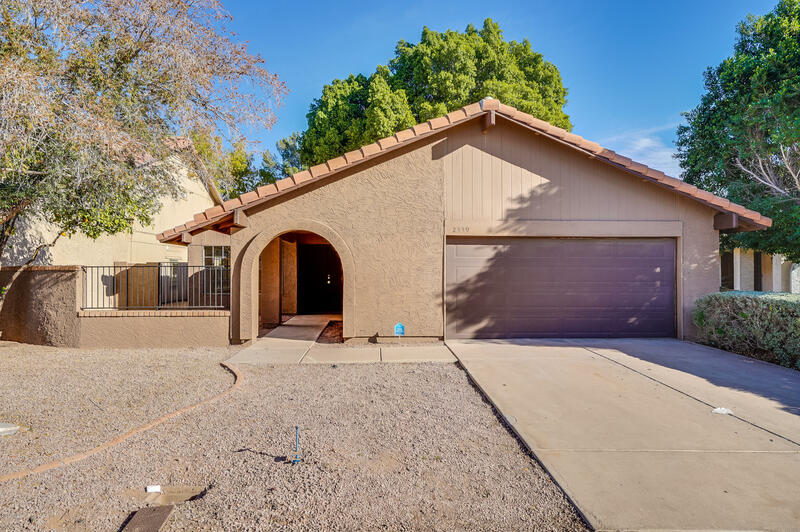 Featuring an open layout with vaulted ceilings, dining and living areas, a cozy fireplace, and neutral paint and beautiful upgraded tile throughout. This is sure to be the home you've been looking for! The fabulous remodeled kitchen includes staggered new cabinetry with quartz counters, new stainless steel appliances, and recessed lighting. Inside the stunning master bedroom you will find an updated private bath with his and her sinks, as w"
"It is gorgeous! The remodel is finished and worth the wait. This is a 4 bedroom 2 bath home with a fireplace, which is visible when you walk in the front door. It has a lovely floorplan and there are so many new touches you have to look in the documents tab to see them all. The popcorn ceilings and wood beams are gone, the vent over the stove that did nothing is gone, the lights in the kitchen are new as well as the dining room. The floors are polished and the windows have wood shutters, and t"
"WOW! 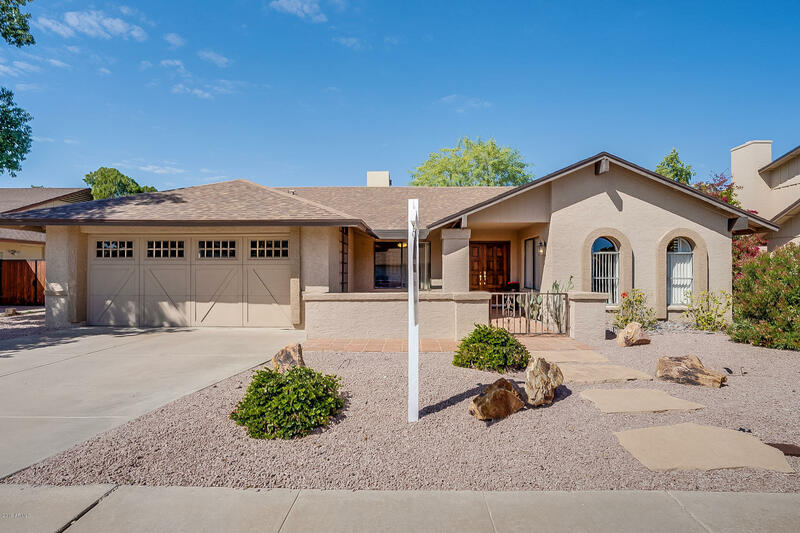 High style designer remodel in prime Mesa location! 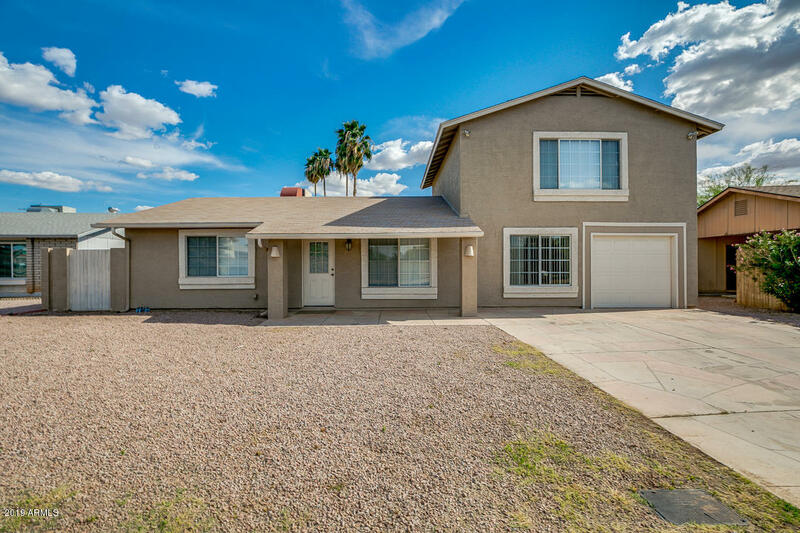 Must see 4bed, 2.5 bath home. Charming exterior with custom wood stained shutters. HUGE backyard space with RV gate. Open concept living and kitchen space with kitchen island. All new kitchen with custom built range hood, marble look whole wall backsplash tile, and quartz countertops. New designer lighting, flooring, and paint throughout. 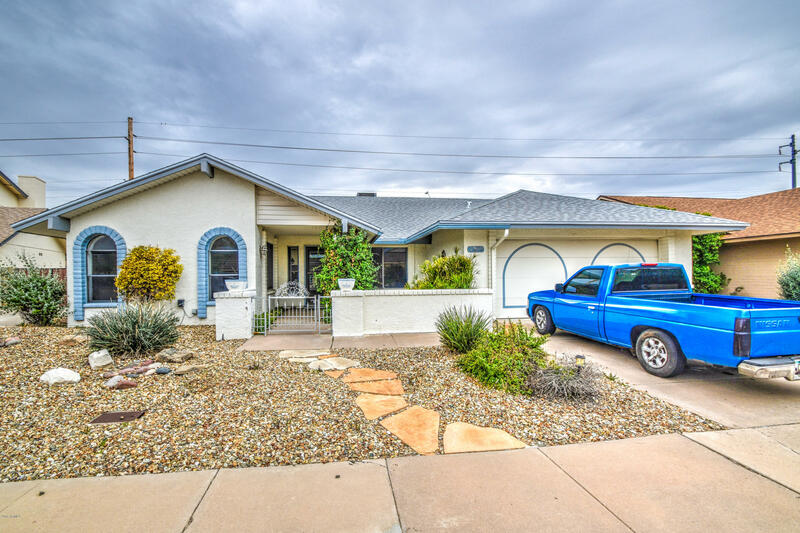 This beauty has a ton of character with custom wall molding and unique details that focus on both beau"
"Great home with upgrades throughout! Tile floors, and carpet bedrooms, Beautiful eat in kitchen with granite counter tops. TWO Master bedrooms.. one on the main floor and one on the second floor. This is a great split floor plan with a lot of living space! 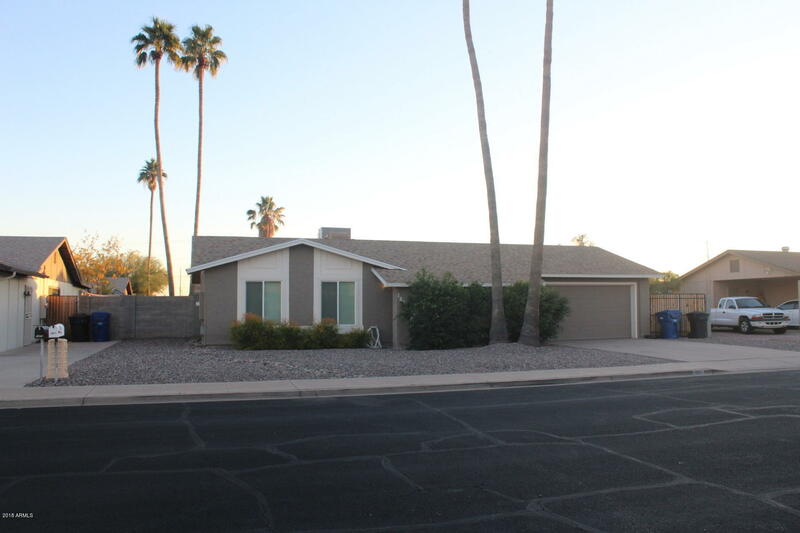 Great Central location, just minutes to 60 or loop 101 - Close to Schools and Parks." 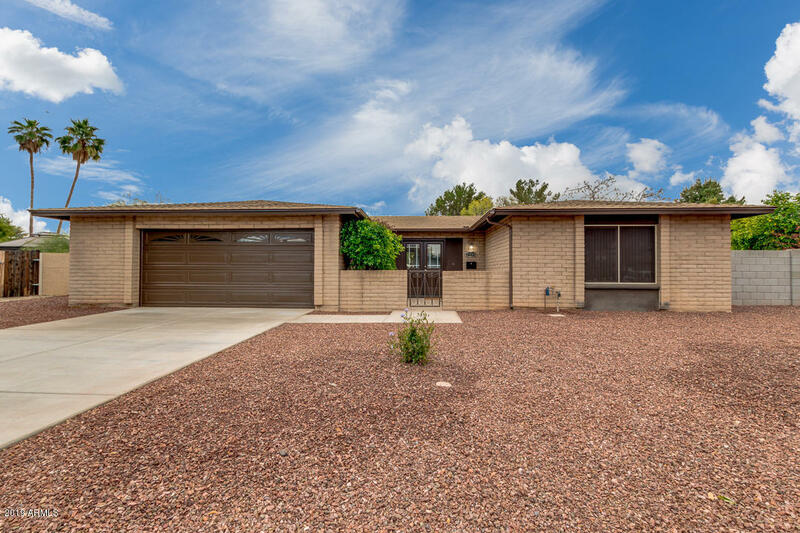 "Soaring vaulted ceilings welcome you to this recently renovated home. Brand new roof & replastered pool. Extensive back porch that runs the entire rear of home allows for buffet dining or pool time fun and relaxation. Beautiful granite counter tops & glass tile bcksplash complement your brand new kitchen. Natutal stone fireplace is centerpiece to a cozy family gathering space. 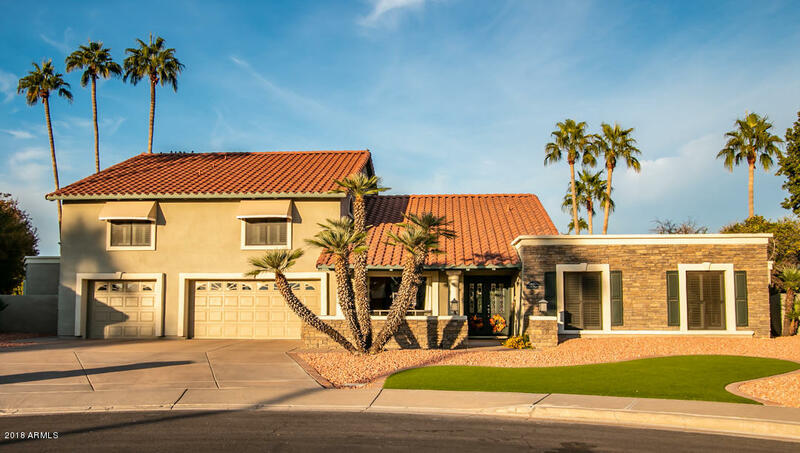 Lg bonus room downstairs, adjoining the fam room, w/arcadia doors to the back patio is ideal for a game room or home off"
"This Mesa one-story offers a fireplace, granite kitchen countertops, stainless steel appliances, and a two-car garage. Upgraded features include fresh exterior paint, new carpet in select rooms, and a new roof. 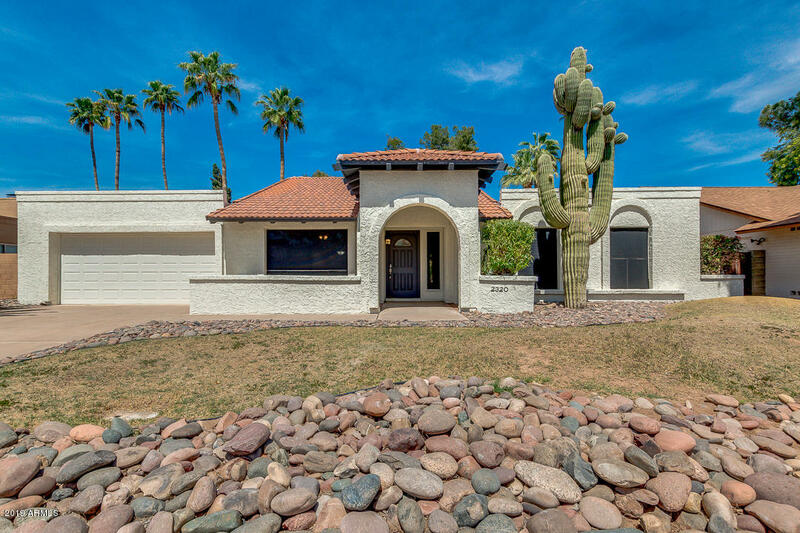 This home is part of the Dobson HOA. Home comes with a 30-day buyback guarantee. Terms and conditions apply." 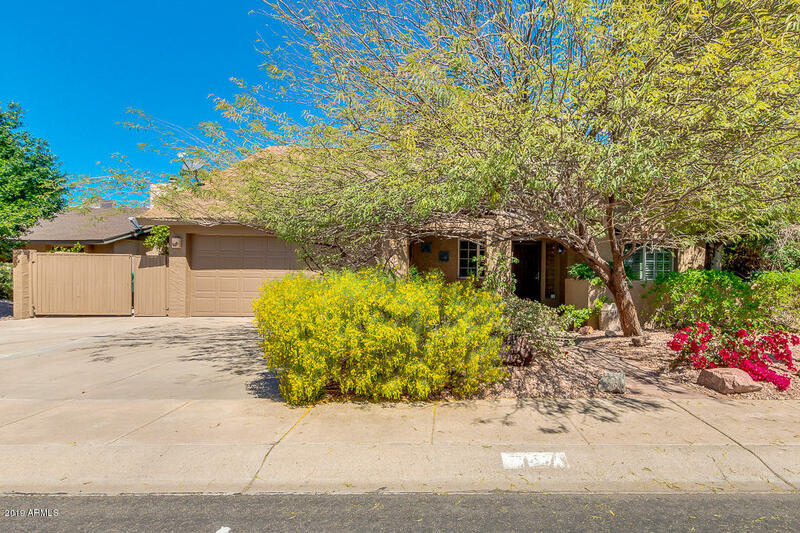 "Wow...... Laguna Shores of Dobson Ranch* Spacious Open Great Room Concept with 13' Vaulted ceilings in living and kitchen area*Diving Pool re-plastered 2014* Exterior paint 2015*Real Solid Oak flooring*4inch Baseboards throughout* *Granite countertops* This home is in a fantastic location right off Superstition Freeway and the 101. This home will not last at this price." 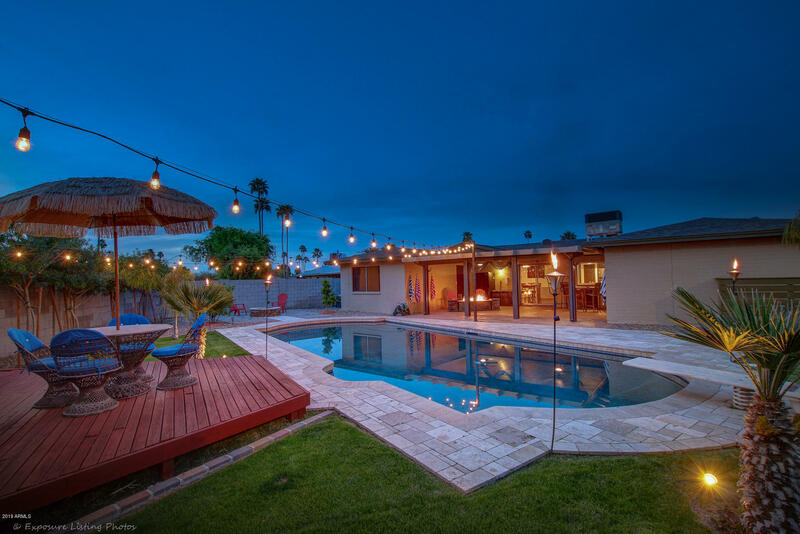 "This backyard is an entertainers dream! RV Gate with a custom built detached garage on the side of the house to store ALL of your toys. 3 bedroom 2 bath split floor plan with an office that could be a 4th bedroom. New Roof. New A/C. Freshly painted inside and out. New Carpet through out. Kitchen cabinets have been re stained, and S.S. Appliances. Travertine Pavers around the pebble tech pool with an outdoor fireplace. Epoxy coated garage floor with custom cabinets in the garage for extra storage"
"Highly sought Dobson Ranch! Perfect for investor as there are tenants in place!! If you would like to take advantage of the low price in this area, ask to see this amazing home today! 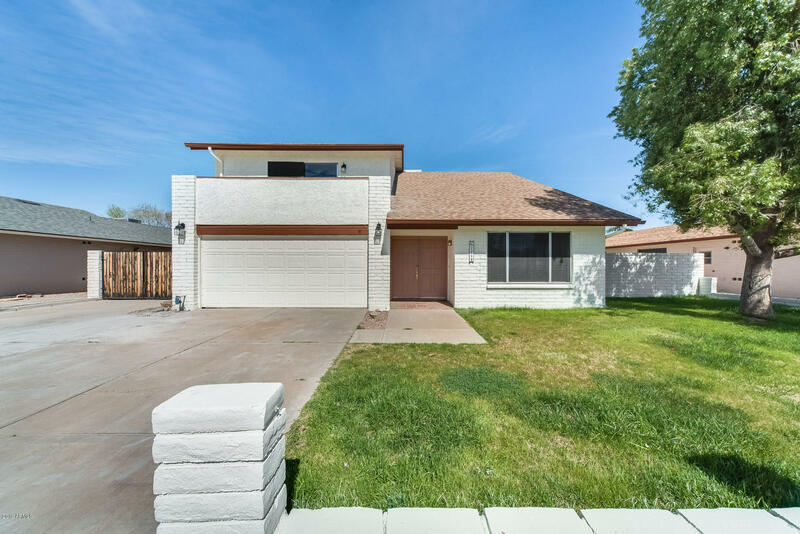 1.920sqft, 3bedroom, 2bath, nice open concept, kithcen has a generous size island, granite counter-tops, and it has a nice fireplace! Mature Citrus Trees in backyard. Beautiful desert landscaping. Great ammeneties, community pools, parks, tennis, basketball courts, lakes, events and clubhouses!!!" "PRICE DROP!! 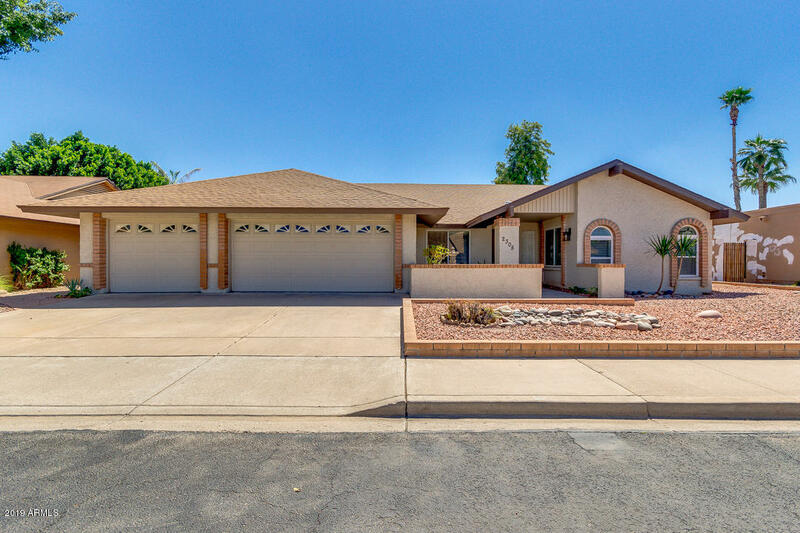 This beautiful home in the middle of Mesa is ready and waiting for you to call it home. 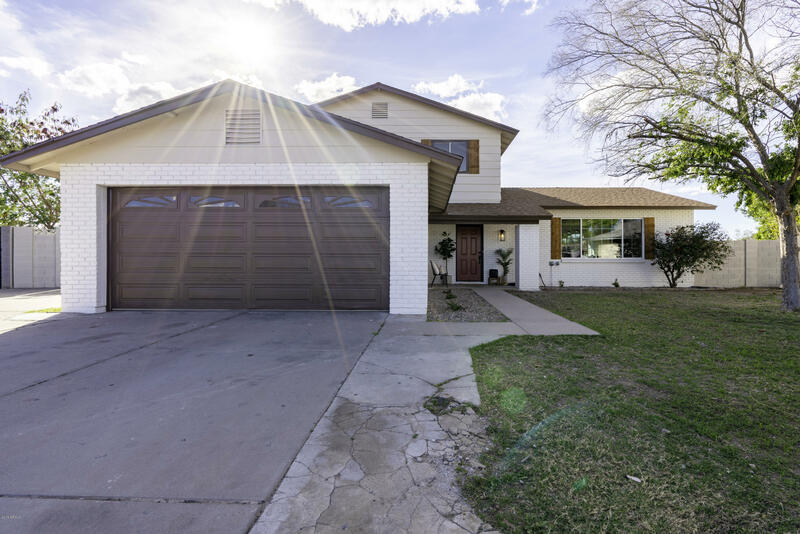 It offers a 4/2bath floor plan that is move in ready. It has a unique style that makes it feel homie and warm. the home has a floor plan that fits almost anybody's living style. it has an office space a bonus room and a game room area up stairs or loft which ever is your style or choice. 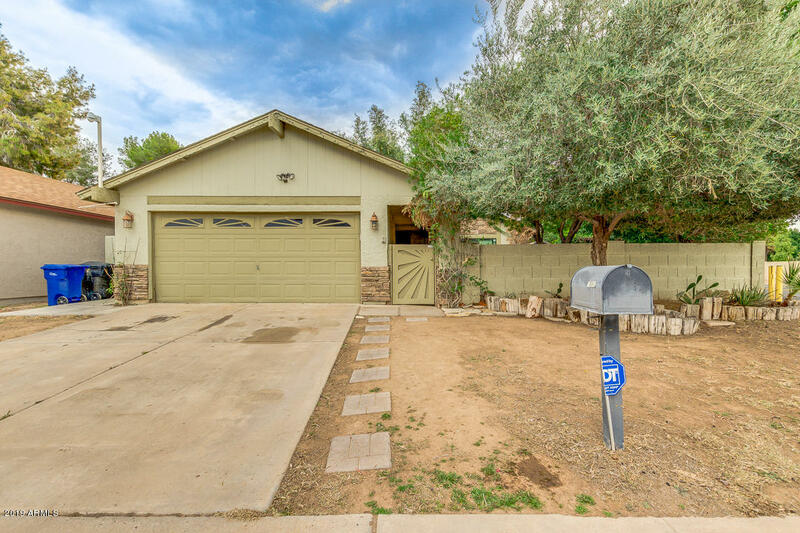 the home comes with a koi pond in the back yard that is Amazingly peaceful to sit out in the back yard and li"
"Charming 3BR 2BA home in highly sought after Dobson Ranch. Spacious kitchen with plenty of cabinet and counter space. Vaulted ceiling and skylight in the family room. Lots of natural light. Kitchen has an island and large pantry. Huge master suite. 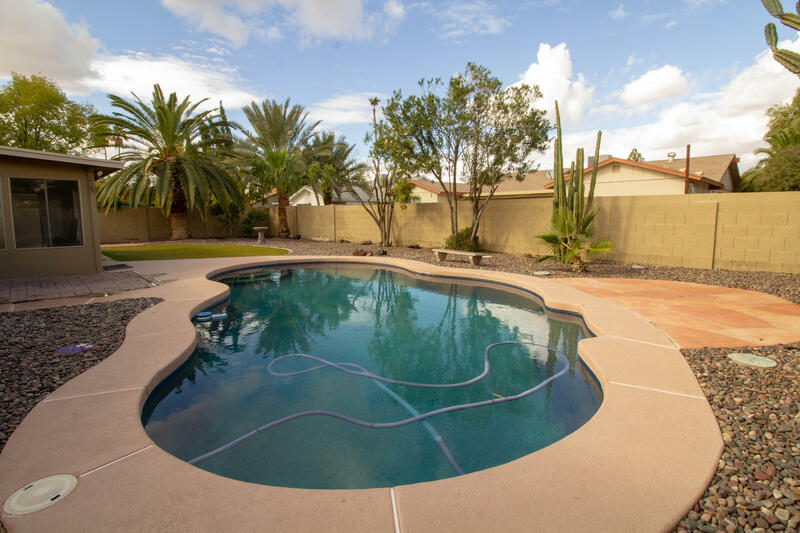 This home is a 1 minute walk to the following activities: playground, swimming pool, splash pad, tennis and racquetball courts. 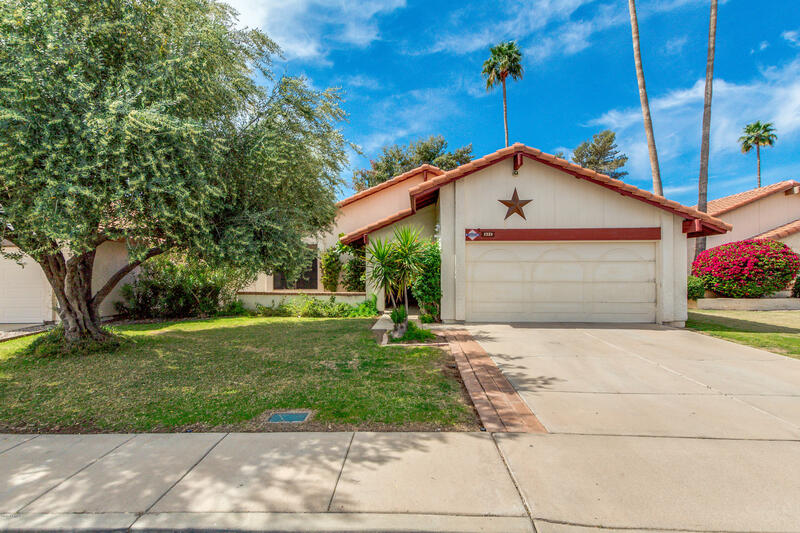 Close to shopping , hospitals and freeways. 15 mins to the airport. And much more.. Come see for yourself. 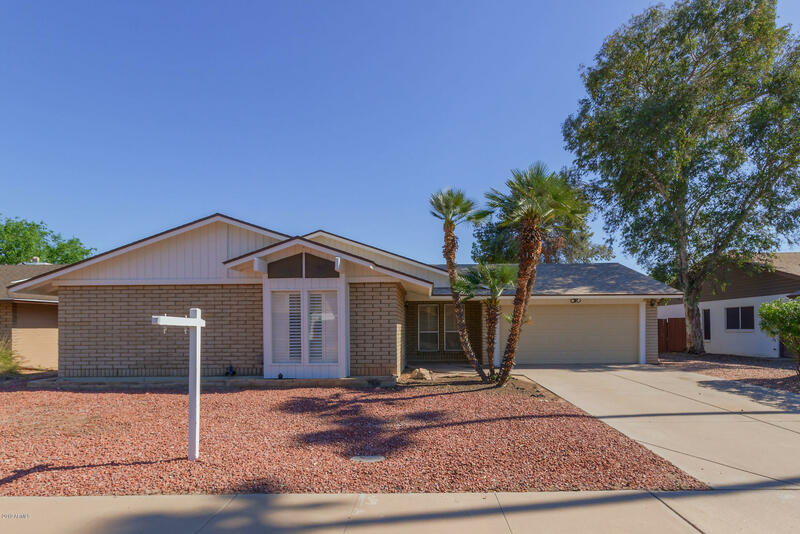 Make"
"Delightful single level in Mesa's Dobson Shores at Dobson Ranch! 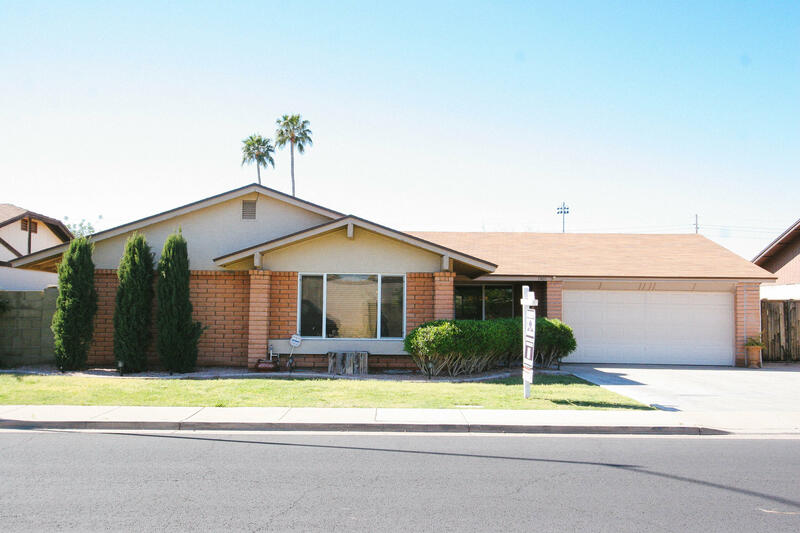 This charming 2 bed/2 bath home offers grassy front yard & 2 car garage. Bright & spacious interior boasts custom paint, plantation shutters, tile flooring throughout, oversized family room w' fireplace & formal dining. 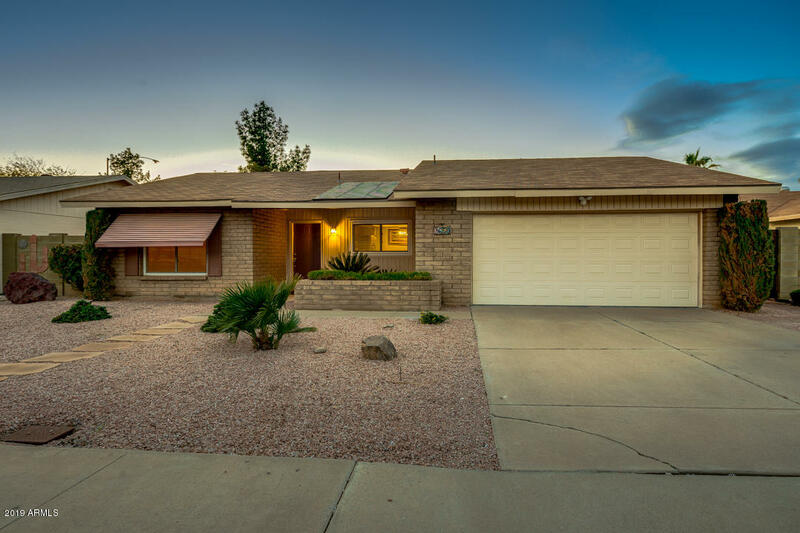 Fully remodeled kitchen is equipped w' plenty of cabinetry, tastefully done tile back-splash, granite counters, matching appliances, pantry & breakfast area. 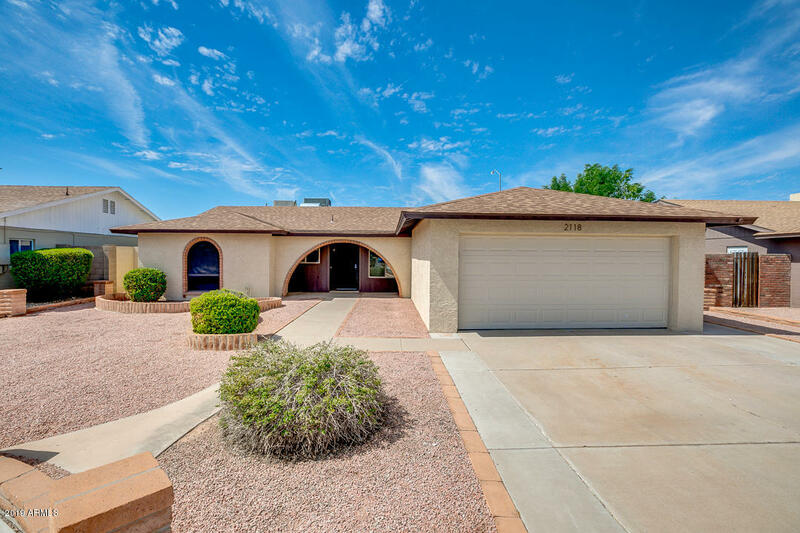 Master suite has vaulted ceilings, sliding glass doors "
"MUST SEE! No HOA! 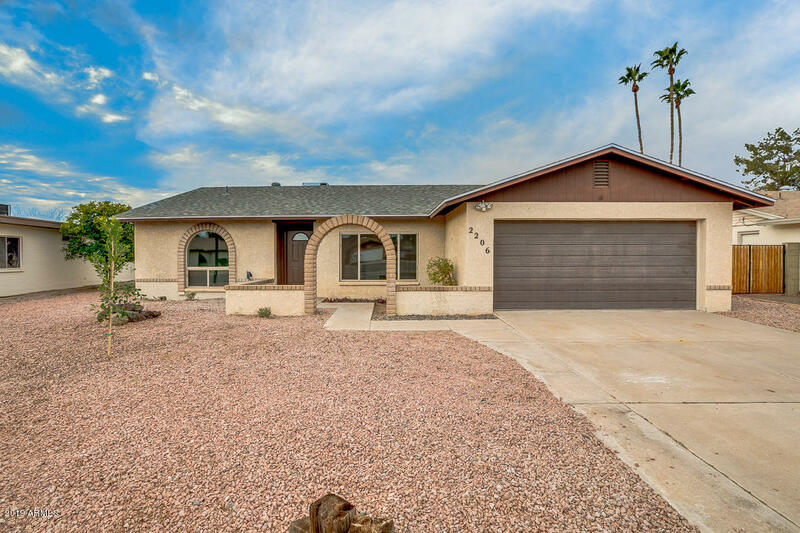 Fully remodeled home boasting new paint, tile floors throughout, stainless steel appliances, granite countertops, custom showers, RV gate with RV slab/RV parking, 2 car garage, large pool, ceiling fans throughout, block wall, north/south exposure, all new high efficiency windows, and inside laundry. . 3 bedroom/2 bath."